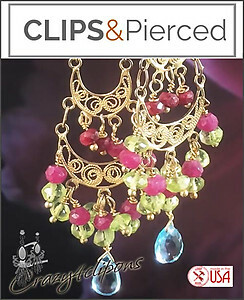 Features: Get ready to razzle & dazzle with these gorgeous golden chandeliers clip earrings. Exquisite gold vermeil filigree is carefully complimented with red ruby, green peridot mini-rondelles and a teal topaz faceted briolette. 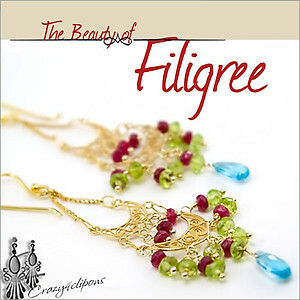 They dangle beautifully and are lovely with a casual or a dressy wardrobe. 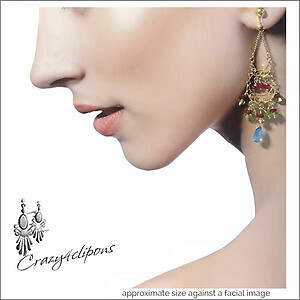 As most of our earrings, this design is available for both pierced and non-pierced ears.